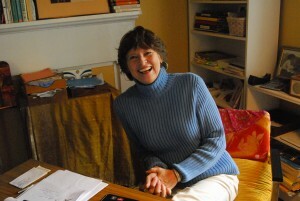 Author Peggy Payne has chosen to craft her novels around the intersection of spirituality and physical/emotional life. Or, as she explained in an interview here earlier this month, the subject chose her. The results include Revelation, Cobalt Blue, and Sister India, a New York Times Notable Book of the Year. Despite her novels’ success, Peggy says she has difficulty explaining their nature and an even bigger challenge categorizing them so readers know where to find them. She’s come up with possible, somewhat whimsical, solutions to the labeling dilemma, which she shares along with actual sources for books of “expanded realism” on a guest blog post here April 1.